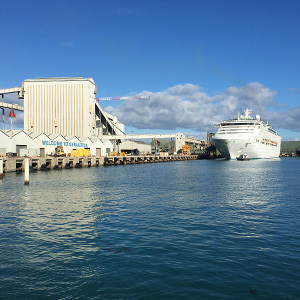 Mid West Ports Authority is undertaking Master Planning at the Port of Geraldton. During 2017, the Board and Executives focused on planning initiatives to create and sustain a high performing organisation. As part of this strategic outlook, MWPA identified the need to undertake a detailed Port Master Planning process for the Port of Geraldton. Work began early in 2018 to investigate how the Port, its corridors and the Fishing Boat Harbour could develop to accommodate potentially significant additional trade over the next 30 years and support the activation of the Mid West community. We believe addressing these issues through a port master planning program will add significant economic value to the port, community and financial partners. The master planning process has included broad consultation with the community and stakeholder groups regarding the future of the port. Prior to the commencement of the Port Master Planning Project, MWPA initiated a survey to allow the community to provide feedback in the early stages of the project. The Port of Geraldton Pre-Project Master Planning Survey, which has now closed, attracted 230 interested persons who provided their views on the important issues relating to the project. This information, collected by Survey Monkey, will now be incorporated in to the works of project consultants from as early as April. Thanks to all who took part in the survey. Following the appointment of GHD Advisory as project consultants, the Geraldton Port Master Planning Project was divided into three stages. Stage one, which was completed in September 2018, included a detailed study of Geraldton Port and surrounding areas. It also involved consultation with a number of relevant stakeholders. This data is now being used as part of stage two, where a variety of potential development options are currently being created. The shortlisted plans will be made available for public comment as part of the third and final stage of the project in 2019. This project page has been established for the project. You will find regular updates and various pieces of information here throughout the project. We encourage you to check back from time to time to see what’s happening. If you would like to unsubscribe from receiving email notifications for the Port of Geraldton Master Planning Project, please click the unsubscribe button below.